* to compare the psychology of victims experiencing stress and losses with the psychology of observers in their reactions to victims. Designed to prevent developmental psychological myths in the area of life crises, this collection questions, on an empirical basis, the adequacy of several widespread generalizations. 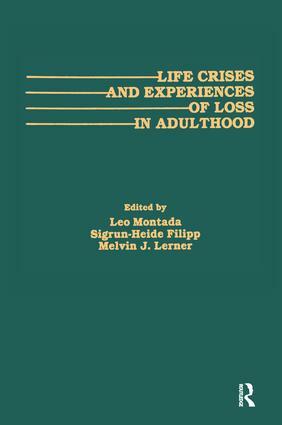 At the same time its contributors attempt to draw paths to conceptualizations and theories in general psychology and social psychology which promise to be helpful in analyzing and interpreting phenomena in the field of life crises. THE COST OF SOCIAL SUPPORT FOLLOWING NEGATIVE LIFE EVENTS: CAN ADVERSITY INCREASE COMMITMENT TO CARING IN CLOSE RELATIONSHIPS?